Acmeca believes in teamwork and work closely with the partners to deliver optimal result in the industry. Therefore, we are able to problem-solve and develop new products and services to enhance the experience of our clients. Coffee catering with barista and kitchen equipment for rental. 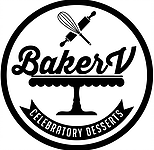 Baker V is a bakery started out from the passion for baking and all things beautiful.